Various versions of this salad have circulated around for years. It reminds me of a recipe called Glorified Rice that my grandma made when I was a kid. Orzo is a fun little pasta that makes this classic new again. 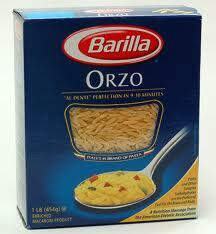 Cook orzo pasta according to directions on package. Rinse and drain. Cool. Drain oranges and pineapple, saving juice. Combine sugar and flour with the fruit juice. Cook in a sauce pan until thick, stirring constantly. Add some of the hot mixture to the beaten eggs. Slowly add this mixture to the sauce pan and bring the sauce to a gentle boil. Cool and pour sauce over pasta. Add fruit and fold in Cool Whip. Makes about 20 servings. A potluck favorite. 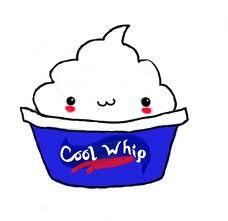 *You and I know Cool Whip is not a real food. It’s a food like substance dubbed by me as ‘chemicals in a tub’. But it gives this salad the fluffy consistency we all expect. We’ll just have to live with it. I know of no substitute for this particular recipe. This entry was posted in Signature Recipes and tagged fruit and orzo, fruit recipes, fruit salad. Bookmark the permalink.